The Walking Dead Photos: Are More Deaths On The Way? Joey Dogs: C'mon, Richie. Ya know I ain't been laid since '69. Richie Madano: Ya ain't been laid since '69, huh? Whatcha been doin'? Ya been jerkin' the gherkin'. 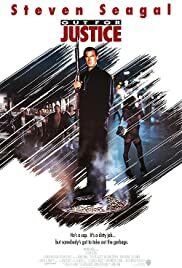 This violent cop thriller begins when a Brooklyn police named Gino(Steven Seagal) is alerted when his best friend Bobby has been murdered by Richie(William Forsythe), a childhood ex-friend from old Brooklyn neighborhood. Gino tells his chief(Jerry Orbach) which he can encounter Richie and he set off in pursuit . Meanwhile,the Gino's spouse(Jo Champa) ask him the divorce . A doped Richie doesn't mind if he lives or dies and kills everybody around. The Italian mobsters are upset with him and they are looking for him, too. Richie is accompanied by his band(Jay Acanove, Robert Lasardo) taking the law on their own hands. The film packs thrills, excessive violence, gory killing, profanity and bad language. N.Y. cop doesn't hesitate to utilize his martial arts skills as he fights violent drug dealing and battles corrupts killers and using his usual snapping wrists. This Seagal movie reveals the real-life Aikido master to be more of the Van Damme, Stallone style than the Stanislawski school of acting. Appear as secondary Jerry Orbach, recently deceased, and Shannon Whirry, a soft core star, who holds an alike countenance to Kelly Lebrock, Seagal's former wife. 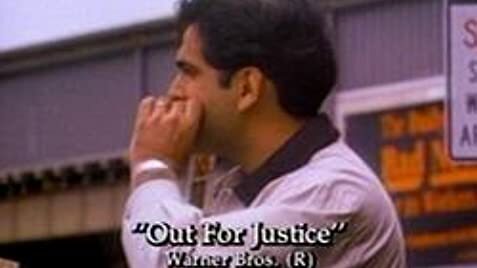 Furthermore, an uncredited, almost extras, John Leguizano, Raymond Cruz and Julie Strain. The Karate expert Seagal co-wrote the script, and co-produced along with Arnold Konpelson . Noisy musical score by means of synthesize, is in charge of David Marshall Frank. Director John Flynn who gave excellent performances to Tommy Lee Jones(Rolling Thunder), Robert Duval(Outfit), Jan Michael Vincent(Defiance), James Woods(Best seller), here gave credibility to Steven Seagal. The result is a strong outing for action enthusiastic.